With African Development Bank (AfDB) (http://www.afdb.org) support, Burkina Faso has received an $11.5 million grant from the Climate Investment Funds’ (CIF) Forest Investment Program (FIP) (https://www.climateinvestmentfunds.org/cif/node/5) to undertake the Gazetted Forests Participatory Management Project for REDD+* (https://www.climateinvestmentfunds.org/cif/sites/climateinvestmentfunds.org/files/AfDB_Burkina_Faso_FIP_Project_Document.pdf) to create critically needed transformation of 12 of its gazetted forests. With 48.8 per cent of its land mass covered by forest, Burkina Faso is a country heavily dependent on its forest sector for socio-economic development; but today, with growing deforestation, the country is suffering from increased biodiversity loss and degraded soil production. The FIP- and AfDB-supported project is designed to contribute to a triple-win transformation: building carbon sequestration capacity in the forests, improving local people’s resilience to climate change, and reducing their poverty by diversifying their income sources, developing gazetted forest wood and non-wood products such as almond and shea processing and beekeeping. The main outcomes expected from the project are development of an MRV (measurable, reportable, verifiable) system for REDD+, improvement of forest governance, securitization and management of 284,000 hectares (ha) of gazette forests, and establishment of a socio-economic support infrastructure for neighbouring municipal councils. The project is designed to directly benefit 5,400 producers including 2,700 women, and indirectly benefit nearly 850,000 people – half of them women – in council areas adjacent to the project sites. • Project coordination and management, including procurement and financial management, monitoring and evaluation, and auditing. 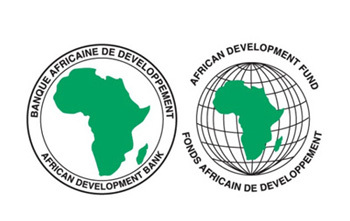 With this project, the approval process for projects in AfDB’s FIP portfolio is complete, and the Bank will work with its partner countries and the FIP to begin full-fledged implementation and a growing improvement in sustainable management and climate-friendly development of African forests.